Almost three decades on from the alternative explosion of the early ’90s, a stereotype can still pervade when you talk about its nexus, Seattle, and the grunge scene that still defines so much of Gen X culture in our popular consciousness. It was brooding, it was dark. If you’re a fan of this music, you’ve probably had a distant uncle or somebody ask you “Who wants to hear someone sing about their pain and suffering all the time?” And, well, there was a lot of darkness here — addiction, broken families, suicides. It isn’t for everyone. But there’s a reason the era’s core artists became symbols and spokespeople of a generation, and that their work endures. This is part of why we turn to art, part of how we can form our identities in relation to it — we listen to an artist go to those places, become vulnerable, show us we aren’t the only people thinking a certain way. Those are all stereotypes, too. But it doesn’t make them any less true — especially when you’re talking about a band that gave its listeners as much as Soundgarden did. With 1991’s Badmotorfinger and 1994’s Superunknown, Soundgarden — their classic lineup including frontman Chris Cornell, guitarist Kim Thayil, bassist Ben Shepherd, and drummer Matt Cameron — helped define a movement, a genre, a decade. And yet, when compared to contemporaries like Nirvana or Pearl Jam, it feels as if they still haven’t been inducted into the same classic rock pantheon. There’s something about Soundgarden where it feels like people still consign them to a time and place. Or, rather, that they still don’t really know where Soundgarden lives. ?? The difference with Soundgarden was that they were always a little weird, off to the side in various ways throughout their career. For a while people wanted them to be an alternative-minded metal band. They could open for Guns N’ Roses in arenas, and then for Skid Row, and then hop on Lollapalooza with Pearl Jam and the Red Hot Chili Peppers. They were intellectual and mature compared to a lot of the era’s mainstream metal, but not quite as artsy as some of their friends in the alternative sphere. They seemed to always have each foot in a different world. All these years later, when you hear a song like “Head Down” or “Nothing To Say” or “Slaves And Bulldozers” or “Overfloater,” it still sounds like a band tapping into something strange and unfamiliar, hinting at something that still offers plenty of mystery for them, and for us, to explore. Soundgarden took their name from a permanent installation in Seattle called A Sound Garden, a series of 12 steel towers with hanging organ pipes that would produce different tones when the wind passed through them. In one example, there at the beginning, you can see how all of Soundgarden’s existence was going to be one of multiple identities. A sculpture of wind and steel, symbolic of a band that would always sound monumental, but with a power equal parts elemental and industrial. They quoted from a lot of the same artists as the other big grunge acts, but used those influences to craft a darker, more nuanced sound. Lyrically, Cornell would often dwell on diving into the deepest, most uncomfortable recesses of human existence. And as subtle and sneakily idiosyncratic as their music could be, that’s part of what gave Soundgarden their power. Cornell’s (justly) oft-mythologized voice — capable of primal growls and seductive croons and otherworldly wails — catalogued and exorcised all manner of human pain. People reductively refer to the ’90s greats as “angst-y.” This was beyond that, a reckoning with inherent, unsettling existential struggles within life. When news of Cornell’s death broke, it was heartbreaking in its suddenness. It was heartbreaking because he was 52, and because even after all the music he had released, he was still prolific, and planning new Soundgarden music. 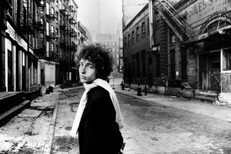 This was a guy who had more to do, and it had previously been curious to imagine what an aged Cornell might sound like, what new sounds he might explore or how that immortal voice might shift and grow with another decade and a half of experience. We had lost another icon, after so many in such a short period of time. Losing an artist like Cornell feels more severe, not just because of the circumstances of his death or because of his generation-defining work, but because of the specifics of Soundgarden’s music. There’s a paradox here, similar to that of shoegaze — the idea of music that sounds aggressive or intense in some way, but is also vulnerable at its core. Cornell put so much out there, hidden within grinding riffs and lacerating solos and ethereal atmospheres. Who knows how Soundgarden’s legacy will develop and settle from here. But here’s what is left behind: music that suggested faraway places and unrecognizable colors, combined with intimacy of a conversation with a friend. That is why people connected to this music. In tribute to that, here are 10 of my favorite Soundgarden songs, the ones that offered me that connection at some point or another. Chances are you could have a totally different list, a different 10 songs that offered solace along the way. That’s part of what makes a great artist. So here’s the list. Again, everything below this point was originally published in 2013, and nothing from the original version has been changed. The almost-title-track to Soundgarden’s second album, “Loud Love” remains a high water mark of their earlier, more overtly metallic sound. It begins distant, with a dual set of wails — Kim Thayil’s mutated feedback intro, oft-mistaken for an e-bow, bleeding directly into Cornell’s rising scream. It’s curious at first, but gripping as soon as it lands. “Loud Love” is a key example of how the band was so adept at crafting grooves that were heavy and infectious at the same time, contrary to their frequent protestations of pop-aversion. Not that “Loud Love” is bubblegum, but it took the vaguely artsy brooding that characterized their first two albums, and whipped it into a new form. Where some of the earlier, more sludgy-riffed Soundgarden songs could get a little ponderous, “Loud Love” was propulsive even while mid-tempo, boasting solid melodies while still giving you something to bang your head to, making it an early example of a dichotomy that would run through their career. While much of Soundgarden’s third album, Badmotorfinger, was still firmly within their brand of alternative-tinged metal, “Searching With My Good Eye Closed” pointed towards the stylistic expansion that would come with its follow-up Superunknown. Though not devoid of the aggression that characterizes much of Badmotorfinger, “Searching With My Good Eye Closed” leans towards psychedelia. Cornell’s verse melodies are spacey, mantra-like, but anchored by the rumble of Shepherd’s bass, which is particularly massive in the first verse, before Thayil starts adding riffs over it. Though it can be hard to discern meanings from Cornell’s lyrics sometimes, “Searching With My Good Eye Closed” also feels like a thematic centerpiece to Badmotorfinger. “Is it to the sky, is it to the sky?/ Looking to the sky and down/ Searching for a ground/ With my good eye closed,” Cornell sings in the chorus, summing up a sense of disillusionment, anger, or confusion with the outside world that his lyrics seem to grapple with throughout Badmotorfinger. What might have passed as revery in the verses soon gets torn asunder, Cornell’s increasingly desperate repetitions of “Is it to the sky?” growing into an outro of screamed questions and gnarled guitar solos from all sides, reminding you that there’s little solace to be found on Badmotorfinger. Soundgarden’s masterwork Superunkown is made up fifteen songs, each essential in their own way, clocking in at a total of 70 minutes. Dominated by the singles that would garner the band their biggest mainstream success, there’s bound to be some gems that get lost in the shuffle. Long one of the most overlooked songs of Soundgarden’s catalog, “Fresh Tendrils” was penned by Matt Cameron, an important reminder that while Cornell was responsible for some of the band’s most recognizable songs, Cameron and Shepherd were integral contributors when it came to fleshing out the band’s stranger sides. That weird, rhythmic melody underneath the guitars in the verse? That’s a clavinet, of all things, an instrument so readily associated with funk music (think Stevie Wonder’s “Superstition”), used here to a kind of persistent, guttural effect. It’s one of those subtle moves that immediately makes a Soundgarden song feel a little weird, the element that takes it beyond a normal grunge song and into a more singular headspace. God knows what the title’s supposed to refer to, but many of the lyrics seem to allude to substance abuse of some sort. The constricted groove of the verses boil over into choruses with Cornell singing “Shame, shame/ Throw yourself away/ Give me little bits of/ More than I can take/ If it sits upon your tongue/ Or naked in your eyes/ Give me little bits of/ More than I can try.” It feels like the rhythm of addiction, the pressure getting tighter and tighter until, finally, something has to break. It seems like Down On The Upside gets a bad rap in hindsight, written off as a worn, drawn-out gasp of a swan song, a blurrier successor to Superunknown. That’s all true, but that’s also why it’s always been one of the most interesting, and best, Soundgarden albums. Down On The Upside feels rawer and world-wearied, a vulnerable, almost shambling version of Soundgarden that was rarely glimpsed in all the metallic precision of their earlier records. “Pretty Noose” is a perfect opener for it, Thayil’s wah-assisted guitar providing a languid moan of an intro. Though a pretty successful single in its own right, “Pretty Noose” didn’t reach some of the pop heights of the Superunkown singles. Maybe it’s because of the fact that it hasn’t been subjected to the same overexposure via ad-nauseum radio replays in the interim years between Soundgarden’s dissolution and reunion, but “Pretty Noose” also still feels fresher than those songs. Which is a bit ironic, given how much it encapsulates the relative dustiness of Down On The Upside. I guess it comes down to the fact that with much of Soundgarden’s music remaining so assured and monolithic, it’s thrilling to hear them sound a bit battered. Ben Shepherd was responsible for the two trippiest moments on Superunknown: the Middle Eastern-tinged interlude “Half,” and “Head Down.” A thing of otherworldly, unsettling grace, Soundgarden never recorded anything else quite like “Head Down,” though it could certainly be located as a genesis point for some of the explorations that would later occur on Down On The Upside. Superunknown is a primarily dark affair, not as screeching or hard-edged as Badmotorfinger, but plenty grinding and despairing in its own ways. “Head Down” is too unnerving to be considered a moment of lightness from all that, but it feels like a detour that simultaneously deepens the character of the album. It was with psychedelic tracks like this that Soundgarden marked the borders of their new expansive sound. It glides rather than thrashes, but it seeps out of the same darkened mind and heart as the rest of Superunknown. “We hear you cry/ We hear you wail/ We steal that smile from your face,” Cornell sings, later ending the song with “Head down, head down, head down, hide that smile/ Head high, head high, head high, you got to smile.” It’s all delivered in a smooth, almost-detached lilt, proving that sometimes the best way to be haunting is not through heavy guitars and screams, but through the misleading sweetness of a strangely tuned guitar and an enticing rhythm. Out of any of the songs on this list, “Outshined” perhaps still feels the most rooted to its particular time and place but, man, who even cares. It still sounds incredible. Featuring one of the most memorable riffs of the ’90s, “Outshined” possesses a simple but unforgettable power. It was almost as if Soundgarden had figured out how to distill all of their late ’80s work into one perfectly streamlined, catchier package. But while it spoke of their own past, it also laid groundwork for the definition of a genre. Played with a drop-D tuning — which would become de rigueur in ’90s alt-rock — and with Cornell singing in a slightly lower register than usual, “Outshined” now sounds like a prototypical grunge song that is at once a classic and an unfortunate blueprint for a lot of bad post-grunge bands. What their host of imitators missed was those details that, despite maybe not overly evident to most listeners, give Soundgarden’s music its uniqueness. In this case, it’s the way the 7/4 time signature makes the verses serpentine rather than lumbering. Any lesser band would turn this riff into a neanderthal chug. With Soundgarden, it has a swagger that’s still potent. One of Soundgarden’s most famous singles, “Fell On Black Days” is one of the moments where Cornell’s meaning is actually plain and relatable, not obscured and purely introspective. Though the phrase “fell on black days” easily evokes the idea of depression, there’s a specificity to it. For Cornell, it’s the realization of the depression. As he told Melody Maker in 1994: “You’re happy with your life, everything’s going well, things are exciting — when all of a sudden you realize you’re unhappy in the extreme, to the point of being really, really scared. There’s no particular event you can pin the feeling down to…” In some ways, that’s one of the most unsettling concepts of any of Soundgarden’s material, but it’s deployed through one of their more pop-friendly songs. Despite revolving around a 6/4 riff, “Fell On Black Days” doesn’t feel off-kilter in any way. Rather, it’s mellow in a way that the band had never been up until that point, with Thayil looking back and describing it as “subdued.” That initially irked Thayil, maybe because the song’s relative accessibility (including that gorgeous guitar break at 2:20) blurred its meaning. At any rate, it’s aged incredibly well — you know it’s a classic ’90s song, but unlike some of the other songs on this list it wouldn’t necessarily sound strange if a band put it out today. From the start, Down On The Upside centers on a destructive relationship with the world around you. “I caught the moon today/ Pick it up and throw it away, all right,” Cornell sings in the beginning of “Pretty Noose,” a sentiment carried on and expanded in “Blow Up the Outside World.” Musically, it’s an outlier for Soundgarden, or at least for Thayil, who delved into a bluesier style of playing for his solos. Even more so than on Superunknown, Cornell was moving away from his high, metal-indebted wails and singing more soulfully, emphasizing the increasing prominence of pop influences on the band’s music. While those moments are part of the continuing stylistic expansion that came with Down On The Upside, they also seem to expose the way the band was splitting and fraying, stubbornly pulling in various directions — Thayil’s bluesy solo here is more or less a concession, for a moment tabling his frustration with the album’s less riff-based approach. One of the last singles Soundgarden released in their initial run, “Blow Up the Outside World” became a sort of final statement on a whole lot of things at once. It was a personal frustration, an individual narrative put forth by Cornell about the idea of wanting to destroy all the structures around you just to be left alone. 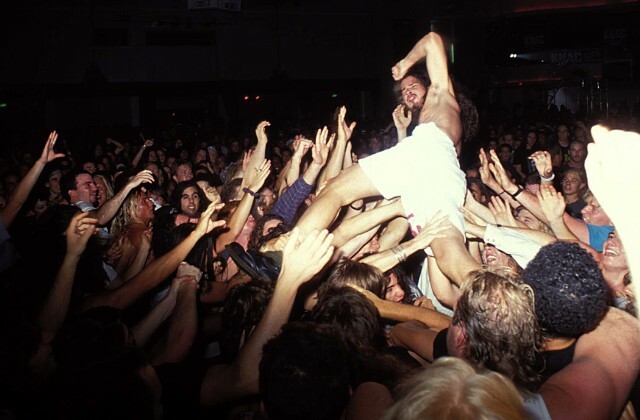 You could say it meant the same thing for the band on two levels: their collective frustration with the binds of the music industry (each member has at some point attributed their initial breakup to the “business” ruining Soundgarden) or their individual frustrations with Soundgarden itself. Arriving in late ’96, it felt like more of a generational statement than its more famous cousin “Black Hole Sun.” For a set of alternative-minded musicians who stumbled into massive fame, then hated it, “Blow Up the Outside World” was one more wearied attempt at letting the world know just how much they didn’t want to be a part of it. “Jesus Christ Pose” was saddled with controversy upon its release. Some listeners took issue with what they perceived as a critique on Christianity, and MTV decided to ban the song’s video primarily because of the image of a woman crucified. The song was misunderstood, being not so much enraged with religion as with the way famous people co-opt religious imagery when they want to seem superior to other people. “You just see it a lot with really beautiful people, or famous people, exploiting that symbol as to imply that they’re either a deity or persecuted somehow by their public,” Cornell told SPIN in 1992, and he’d later cite Jane’s Addiction’s Perry Farrell as a prime example. Despite a nonreligious Cornell having no personal stake in how people used Christian imagery, the song is one of the most biting, aggressive things Soundgarden ever recorded. This is largely thanks to the instrumentation — Soundgarden sounds like such a powerful unit here, every member furiously thrashing away unabated for nearly six minutes, but never deviating from the solidity of the whole song. The sum is an unrelenting maelstrom emanating out from Cameron’s frenetic drum pattern. Collectively, it’s one of those perfect Soundgarden moments that feels mechanistic and animalistic at once, with Thayil characterizing the song’s groove as sounding like “helicopter blades.” It’s been twenty-two years and this thing still sounds punishing. “The Day I Tried to Live” is a quintessential example of almost everything that made Soundgarden great and unique. It features one of their weirdest alternate tunings (EEBBBB, compared to the traditional EADGBE) and alternates between 7/4 and 4/4. Each move is characteristic of their writing style, but “The Day I Tried to Live” is maybe the best example of how Soundgarden could subtly incorporate odd tricks into rock music, giving their music a slight exoticism without descending into gimmickry. In this instance, they give the song a dissonant, hypnotic pull. It’s still a bit heavy, but doesn’t sacrifice the hooks. It’s some of the band’s best songwriting, strengthened by some great vocal melodies that have ensured that the song has aged particularly well. The poppy qualities might’ve struck some fans with another sort of dissonance, given that many have interpreted “The Day I Tried to Live” as a suicide note of a song. Rather, it turns out it’s one of the few hopeful moments in Soundgarden’s catalog. Like so much of Superunknown, it does deal with themes of depression and alienation, but the idea behind the phrase is a man trying to move past his tendency to withdraw from other people and the world at large, and even though he keeps failing, “One more time around/ might do it.” There’s a lot of darkness on Superunknown, and in Soundgarden’s career in general, and this glimmer of brightness feels not only earned, but crucial. “The Day I Tried to Live” might not be the band’s most famous song, but it has everything that Soundgarden excelled at, with less characteristic flourishes for added depth. It’s still one of the most rewarding songs they’ve ever recorded.